Apple recently announced a new set of Magic Keyboard, Mouse and Trackpad for its Mac lineup. However, little you might not know, you can use those keyboard on Windows. Because Apple Keyboard has a different key layout than PC keyboard, some functions will not work out of the box. This is expected, but we are here to fix this. You can have a fully function Apple Keyboard parried with Windows. We’ve covered a few methods to map Apple Keyboard on Windows 7. This method is still valid, and works for Windows 10 as well as most other versions of Windows. 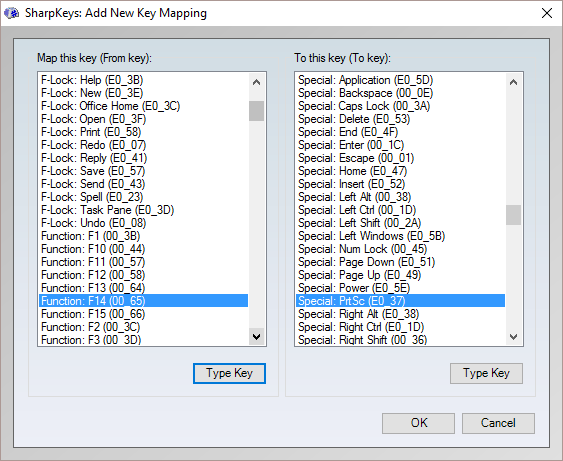 What we covered is basic Windows Key, Control and Alt key mapping. 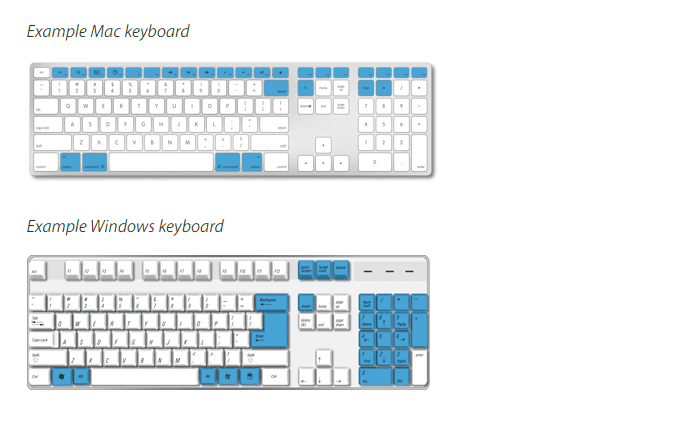 Those are the essential mapping you need to modify to get the same PC keyboard layouts. However, there are more than just those three keys different. As you can see from the picture highlighted below. All the keys in blue are different, most notability Apple’s function keys, media control shortcuts and some of the pc specific keys like Print Screen (PrtSc/PrtScn) are different. They have different in function but not necessary different “physical keys”, this means we can map those keys to it’s intended or untended functions. We are going to add keyboard function such as media control, including Play/Pause, Previous Track, Next Track, Mute, Volume Up, Volume Down and Print Screen to the Apple Keyboard when used in a Windows environment. To achieve this we will use the same program, SharpKeys to generate a set of Windows Registry to apply to the keyboard mapping. I’ve already done this, if you have an Apple Keyboard and wish to use it on Windows along with those functions to work you can download this registry tweak. 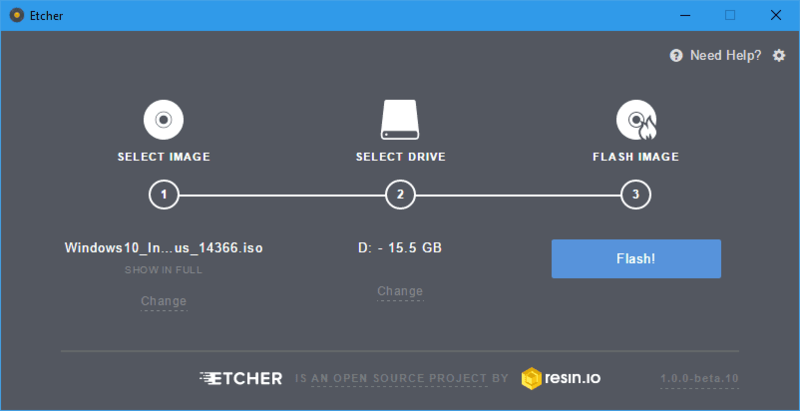 If you just want the basic Windows Start, Control and Alt mapping, you can download and apply this registry tweak instead. Let’s follow along for those of you who are interested in how this works or rather map your own shortcuts to the Apple Keyboard. Download and Install SharpKeys only if you would like to try your own mapping. 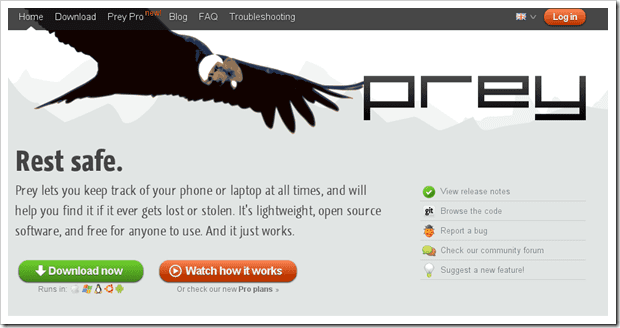 Otherwise, you can apply the registry tweak motioned above, no other 3rd party tools necessary. 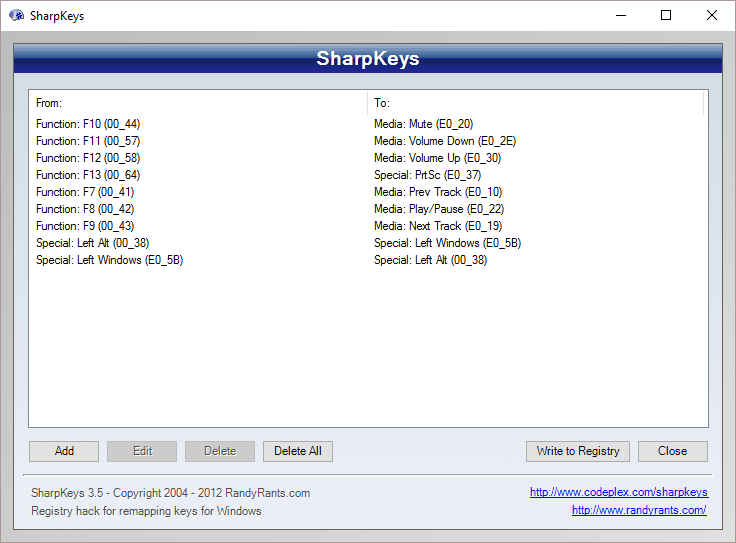 Below are my SharpKeys’ configuration, you can follow the same mapping to enable all the keys mentioned above. 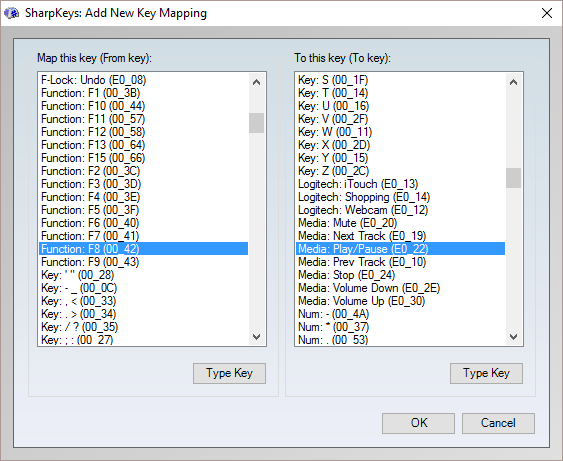 But if you would like to map additional keys that aren’t listed below this is how to do it. Click Add to add a new key mapping. There is a list of existing keys to choose from, but if you aren’t sure which key is belong to which from the list you can click “Type Key” to find the exact match. The actual mapping is pretty straight forward, you find the keys that suppose to have this function and link it to the actual functions. In the example above, I’ve mapped F8 on the Apple Keyboard to be what it was designed for Play or Pause media (music or any current playing). You can repeat the same for other media functions. 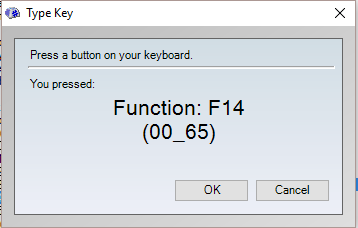 I’ve also mapped F14 (suppose to be F13, on most boards) to be the Windows’s Print Screen key. If you are happy with all the changes, it’s a good idea to save the registry change so next time after Windows upgrade you can go back and apply the same settings again. To do this, go to registry editor and navigate to the path below. 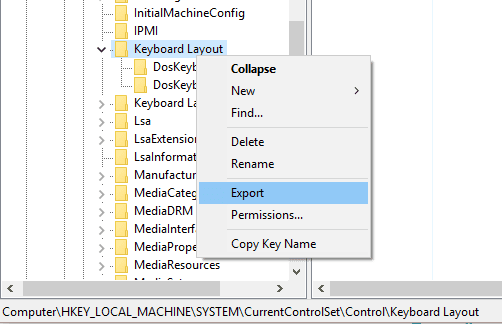 Right click on the node “Keyboard Layout” > Export to save the settings as .reg file. Make sure you only save the selected branch, or else the entire registry key will be huge and unnecessary. That’s it, now you can enjoy your Apple Keyboard on Windows. 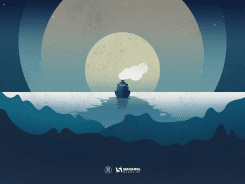 The only catch I found so far after years of using Apple Keyboard on a PC is that every time Windows 10 Upgrades to a new preview build, I lost all the settings. So that’s why it’s a good idea to save those settings and export the registry key until next time when your Windows 10 upgrade itself. Last note, if any of other applications you are using has F7-F10 shortcuts, those shortcut will no longer work. If this is something that blocks you, second consider before apply any registry changes.